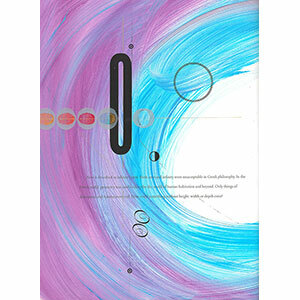 View the exhibition in Neilson Library, Book Arts Gallery, Level 3, January through April, 2012. An exhibition featuring nineteen decorative papers, Mortimer Rare Book Room, January 15 - May 2012. 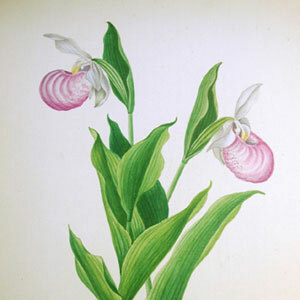 From a Botanical Family: Emily Hitchcock Terry (1838-1921) was on view in the Mortimer Rare Book Room January through June, 2011. Curated by Daria D'Arienzo. 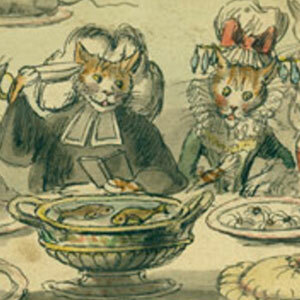 Six recipes for puff pastry from 1669 to 1970. Eating ice cream in France in the late 19th century. Dining with gladiatorial entertainment. These are just three of the offerings in Cabinet of Culinary Curiosities: Books & Manuscripts from the Mortimer Rare Book Room. Other items on display feature: a tribute to Julia Child and her fellow Smith College classmate, cooking teacher, and writer, Charlotte Turgeon; Jack Sprat and the space race; cooking and dining for kings, queens, and mice; and French opinions about Chinese food and table manners. 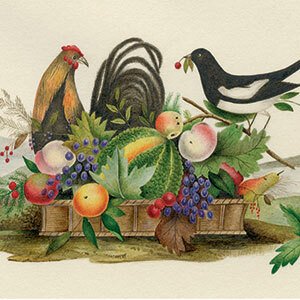 This array of more than fifty culinary curiosities from books and manuscripts features images and descriptions of food and eating from the 16th through the 21st centuries. 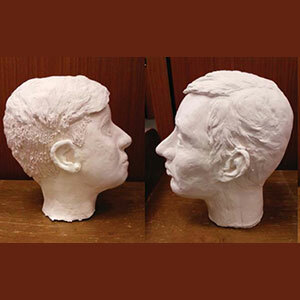 The pop-up installation by Nancy Kitchener includes twenty sculptural busts of past and present Smith students in Scupture I under the instruction of Professor Lee Burns. 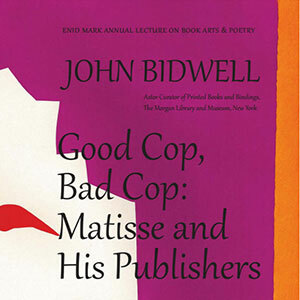 John Bidwell, a notable book arts historian and librarian, will present "Good Cop, Bad Cop: Matisse and His Publishers," focusing on the collaborative nature of making books. Bidwell is currently Astor Curator of Printed Books and Bindings at The Morgan Library and Museum in New York City. One of his abiding interests, on which he has written extensively, is the history of papermaking. Bidwell also curated an important exhibition on Matisse at the Morgan Library in 2015: Graphic Passion: Matisse and the Book Arts. 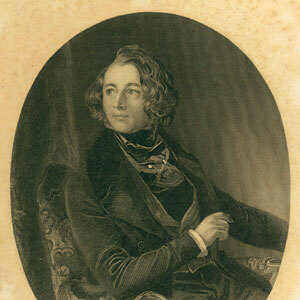 Bidwell has worked at Williams College, the Rochester (New York) Institute of Technology, and the William Andrews Clark Memorial Library in Los Angeles. While curator of graphic arts at Princeton University in the 1990s, Bidwell became familiar with the illustrated books of Enid Mark. The pop-up exhibition features an intergenerational dialogue between feminist activists, many of whose papers have been donated to the Smith College Special Collections. The Women’s History Month we know today evolved from the efforts of early women’s activists in the mid-20th century. Tracing that history is imperative in having, and understanding, national and international conversations. Books featured from Nancy Bloch's recent donation of almost 200 artist books, and curated by Emily Hernandez, class of 2017 as part of her senior capstone project. Nancy Katcher Bloch (class of 1952) donated her artist book collection to the Mortimer Rare Book Room in the fall of 2016, in memory of her daughter Amy Rose Bloch, class of 1978. The collection adds to Smith's already extensive holdings of artist books, both limited edition and unique items, featuring fine printing, illustration, calligraphy, and more. An exhibition curated by Tasha Binkowski, class of 2017. Morgan Gallery, Neilson Library entrance. Tasha Binkowski, class of 2017, focused her Book Studies Concentration capstone project on an elegant manuscript of The Peacock At Home, written and illustrated by Isabel Harriet Kerrich in 1875-1876. 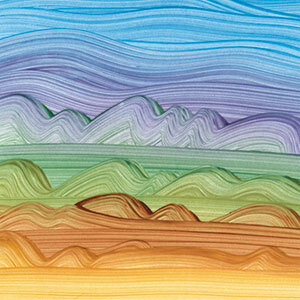 The colorful and detailed manuscript is on display this spring. 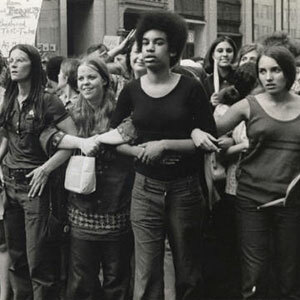 Beginning in Spring 2016, anyone interested in the psychology of women’s activism will be able to take part in a free massive open online course (or MOOC) offered by Smith.